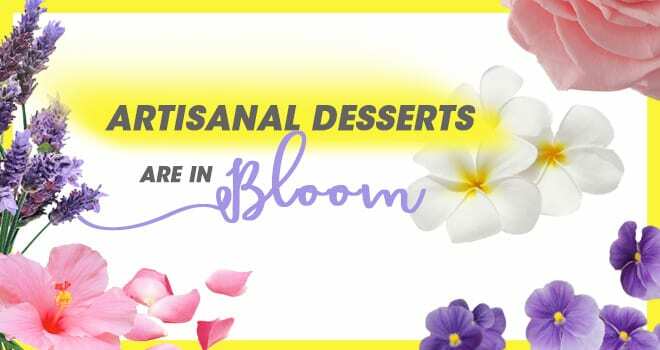 ARTISANAL DESSERTS ARE IN BLOOM! Jams, syrups, frozen pops, cakes, tarts, shortbread, dessert bark, donuts, macarons, flavored butters, pannacotta, gelato, ice cream, sorbet, lollipops, etc. Slushies, coffee, tea, wine, sparkling beverages, cocktails, etc. Examples of unique concepts such as these boast how floral flavors are paving the way for the essence of nature’s accent to secure a more well-received presence in the culinary spotlight. However, as with any culinary creation, the floral flavoring of your choice is one of several very important factors. As reported on www.thekitchn.com, flowers range in taste from sweet, delicate, fruity, nutty, spicy, peppery, and pungent. 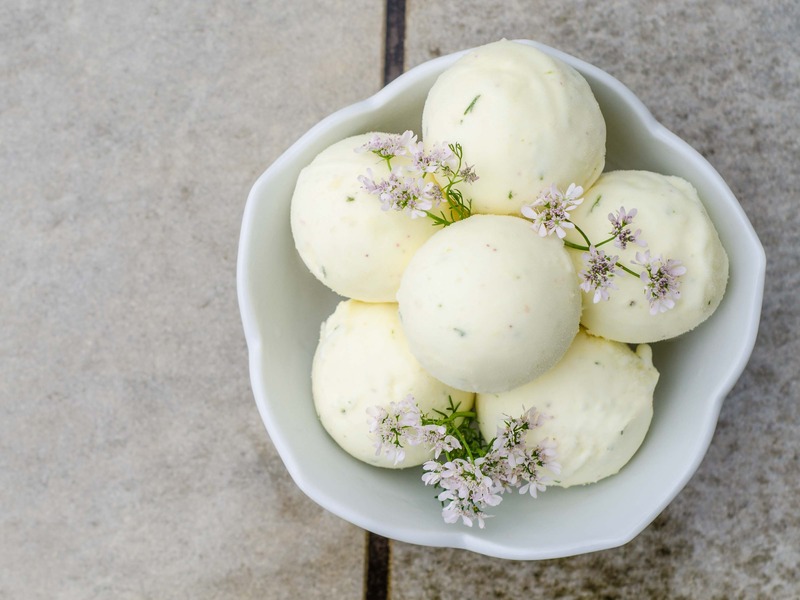 The following list is a small example of some of the most widely used floral flavors in recipe development and a showcase of how these flavors can vary. Violet – according to www.americanvioletsociety.org, the perfumed violet varieties (usually blue to purple) offer a sweet to mild greens flavor, and should be reserved for sweet teas, beverages and desserts. 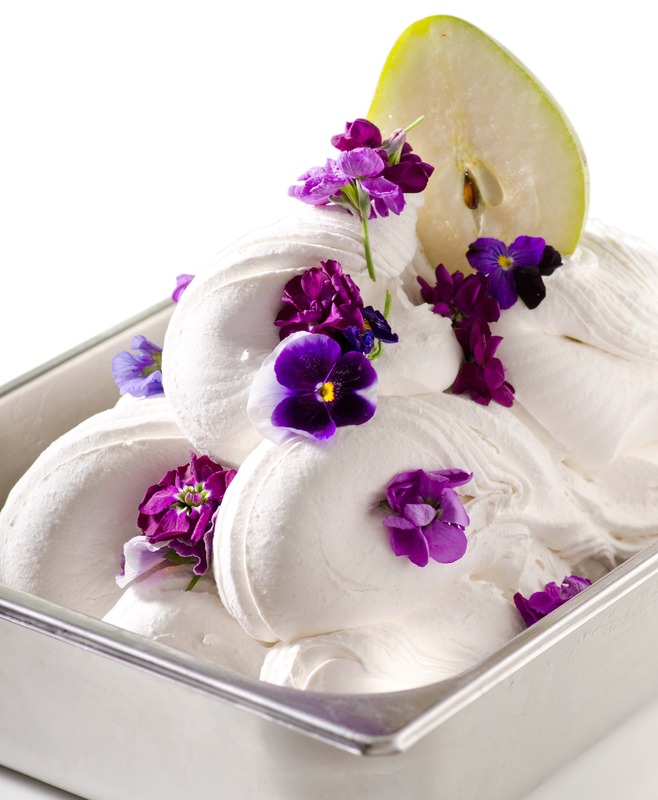 Flavor pairings to consider with violet are pear, mint, chocolate, black currant, blueberry, strawberry, and lemon. Jasmine – As reported by www.thekitchn.com, jasmine is very sweet, and typically brewed as tea or used to make agua fresca.  The web resource adds that the flowers can also be preserved in syrup and used as a cocktail addition or dessert topping. Only the species Jasminum sambac is edible; all other jasmine species are poisonous. 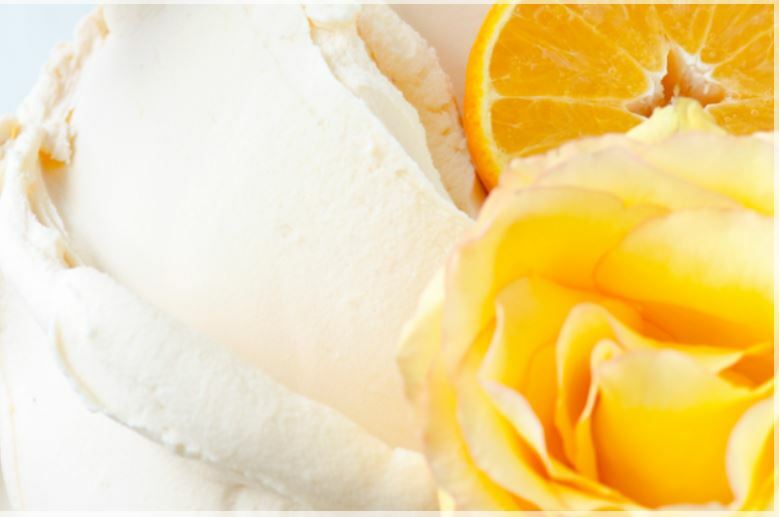 Flavor pairings to consider with jasmine are chocolate, orange, coconut, and ginger. 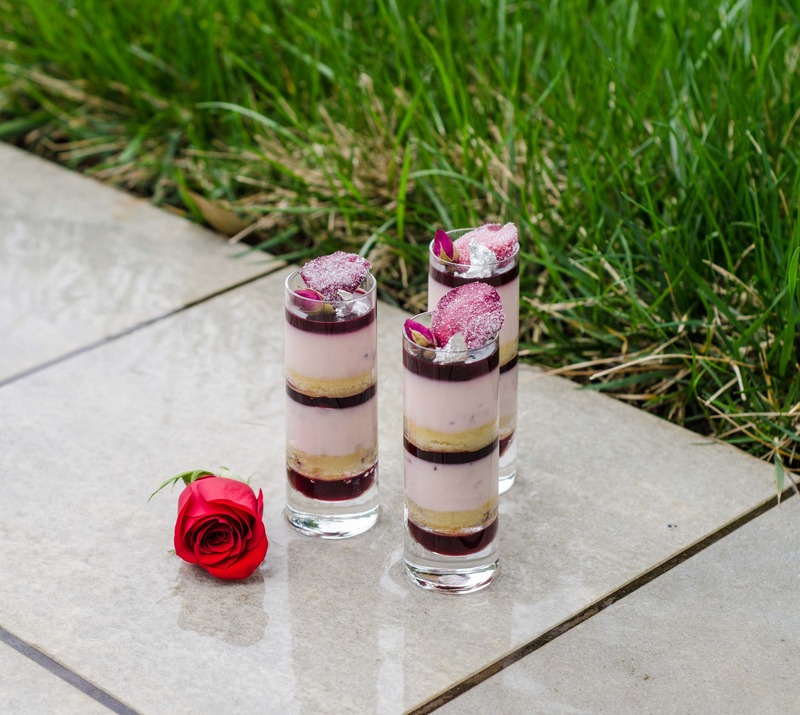 Rose – www.whatscookingamerica.net, suggests that the flavor of edible roses is reminiscent of strawberries and green apples (as they are all part of the same family), and that they are sweet with subtle undertones ranging from fruit to mint to spice. Flavor pairings to consider with rose are milk chocolate, cardamom, pistachio, and raspberry. Hibiscus – Most commonly known for its use in hot and cold tea beverages, www.whatscookingamerica.net, suggests that hibiscus, also known as Jamaican Sorrel or Roselle, offers a cranberry-like flavor with citrus overtones. Flavor pairings to consider with hibiscus are lemon, orange, cinnamon, mint, apple, blueberry and honey. Lavender – Aromatic lavender, also known as English lavender, common lavender, and true lavender, has long been used as an ingredient in perfumes and potpourri, but, according to www.epicurious.com, the delicate purple buds deliver a sweet, floral taste. 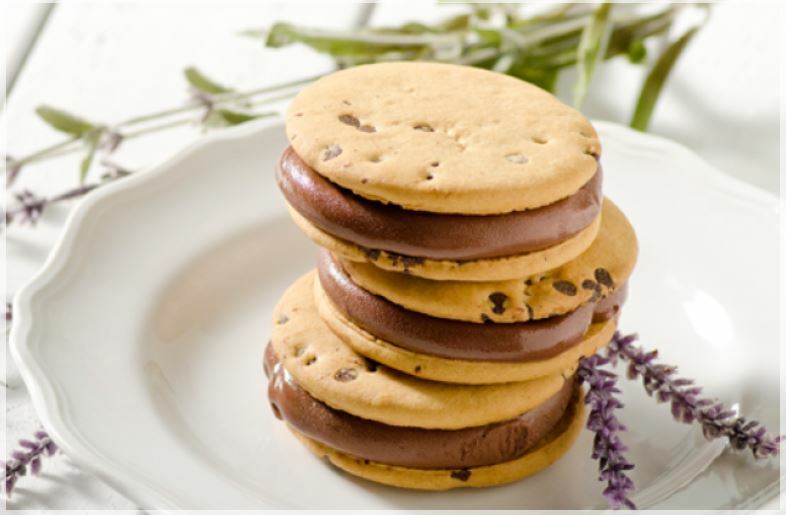 Flavor pairings to consider with lavender are strawberry, blueberry, pear, lemon, orange, honey, and chocolate. Never eating flowers from the florist, as flowers grown for the florist trade are usually full of artificial plant food, pesticides, and other toxic chemicals. Never using flowers picked by the roadside because plants absorb heavy metals and other toxins from fuel exhaust. Using extreme caution if you have flower or pollen allergies or asthma. Eating and serving flowers only when you are positive that they are edible. Moreover, the utilization of floral flavorings allows you to experiment with mixing and matching flavors and offers the comfort of creating guaranteed flavor consistency without concern of overpowering the recipe with the taste of…nature. Overall, it is true that art imitates life, and so is the case with the culinary industry mimicking floral nature. Based on the variety of colors, shapes, fragrances, and tastes, the possibilities for recipe innovation are infinite, and working with reliable partner that can provide the type of flavors you need is utterly important in order to bring your floral-based ideas to fruition. Consider utilizing floral flavorings in your recipe creation, and garnish with actual edible flowers for the ideal dessert presentation.